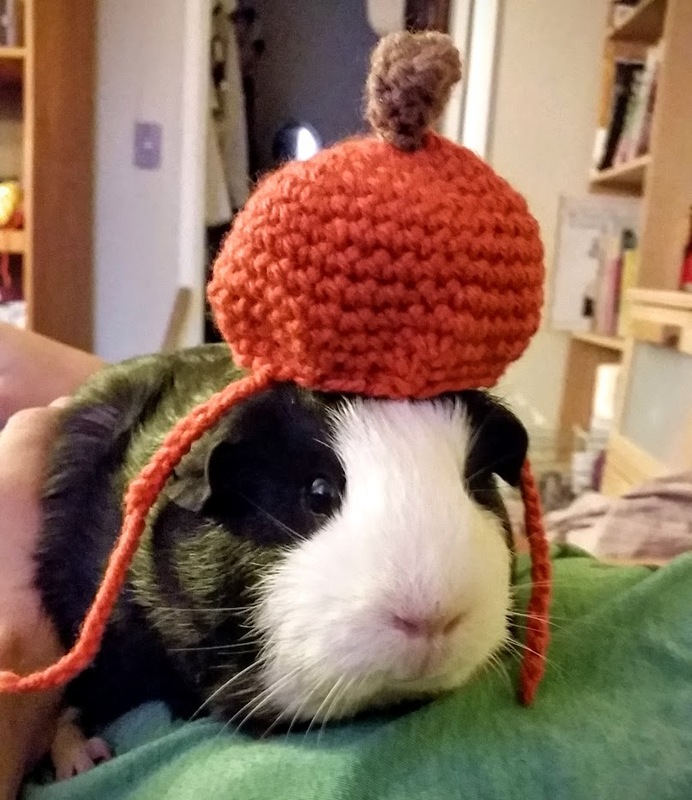 I made my girls Olive and Pearl little candy corn and pumpkin hats for Halloween. I added ties with the intention of it going around their necks, but A, I didn't make them long enough, and/or B, their "necks" are a little too thick to have anything tied around. So the hats just sat on their heads (for not much longer than a second or two) while they looked adorable as ever. My current WIP(s) are customized Christmas stockings for my sister's family, so I'll be posting about that soon!